Rachel and Kirsty are taking part in a fashion show, but it won’t be much fun without the missing Fun Day Flag. 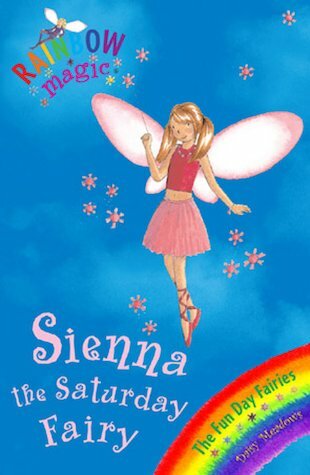 Sienna the Saturday Fairy needs the girls’ help to find it, so that everyone can enjoy the day! Sienna makes sure saturday is always a fun day. I love Sienna’s dress! Kirsty and Rachel are so lucky, they get to be in a fashion show! Wish I were one of them.